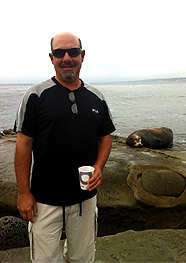 Marcus, a professional golf instructor and golf travel writer, started playing the game at the age of 5. His uncle was an amateur golf champion and at 9 years old, Marcus was regularly attending PGA clinics. He became a caddie at 12, carrying not one but 2 bags, as well as guiding and teaching golfers even at such a young age. Marcus was born and raised in New Jersey with grandparents living in Florida. He eventually moved to the Sunshine State where he spent six years raising 2 children - Adam & Karli - in Ft. Lauderdale. While still in the resort development and travel industry, Marcus transferred to Denver (America's new golf destination at the time) in 1996 and decided to start commuting between there and Scottsdale/Phoenix, ensuring he could teach golf 12 months a year. For 30 years Marcus has trained and taught golf to just about everyone from juniors to professional athletes to corporate CEOs. 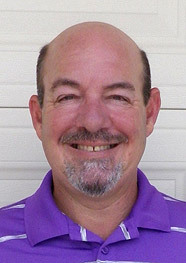 He has also been a golf tournament director for companies, organizations, and charity golf tournaments. Additionally, he specialized in team building and guiding small to large groups of golfers. Not only was Marcus actively out on the links, but he was also involved in the industry through other channels. He has appeared on numerous radio and television programs as a guest speaker on a variety of golf topics, and has been both behind the scenes as well as the frontman. He created, produced, and hosted "The Positive Side of Golf" radio show in Denver for 6 years and "Desert Golf Radio" in Phoenix. He covered a variety of content, including: easy-to-understand golf tips, fun golf stories, methods on picking the right golf course, ways to prevent injuries, and the correct way to play golf & enjoy it. 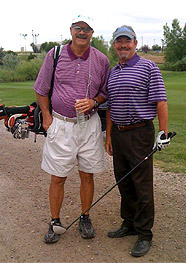 Marcus also wrote a sister column called "The Positive Side of Golf," which appeared regularly in Colorado and Arizona. 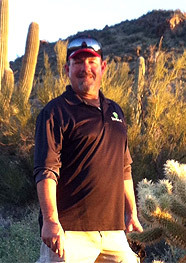 Marcus was head staff writer, reviewing golf courses in in Mexico, Colorado, Arizona, Nevada, California, Idaho, Oregon, Florida, and New Jersey. He also reviewed resorts, restaurants, and other facets of the typical golf lifestyle. With a tremendous eye for a great swing & the available technology, Marcus has been able to teach golfers from around the world via text, video, and video email. After spending many hours in the sun over the past 50 years while playing and teaching golf, Marcus is now living full time in the Phoenix area with Kathleen, his fiance' of 20 years. He says he is planning on spending many hours indoors with the AC at full blast and spending time on the phone with clients organizing their next great golf adventure. Marcus has also spent many years as a resort trainer in the travel industry, clearly giving him an expertise and understanding of what quality service is all about. Marcus cares about the positive experience his clients enjoy & has a full grasp of which golf courses and hotels/resorts care about their guests.